In part 6, we talked about the concept of CT polarity, including a brief overview of the various types involved. 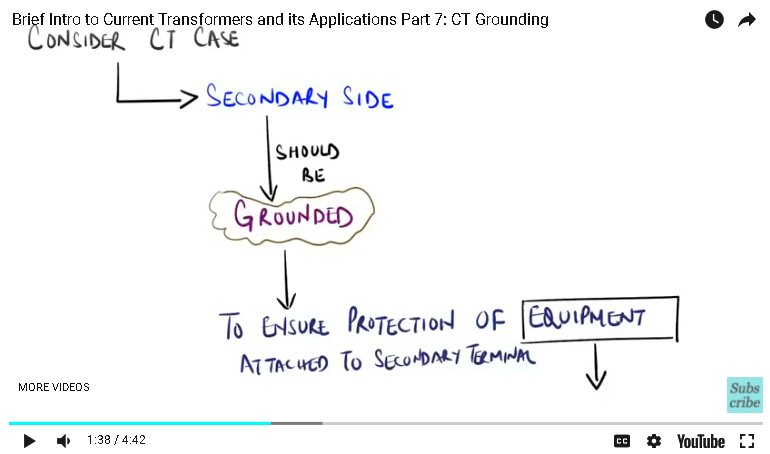 In part 7, we will discuss the concept of CT grounding, and how it can be used to ensure its safe operation. Let us start by first establishing the basic concept of grounding. 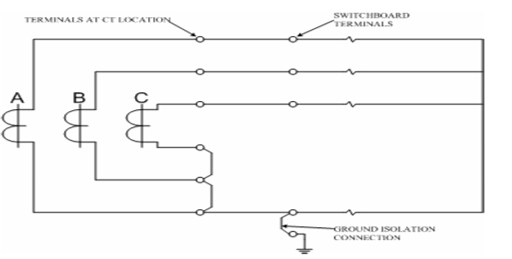 In simple terms, “grounding” is the process of electrically connecting any type of electrical equipment to the “ground”. We can also refer to it as the “Earthing” process. 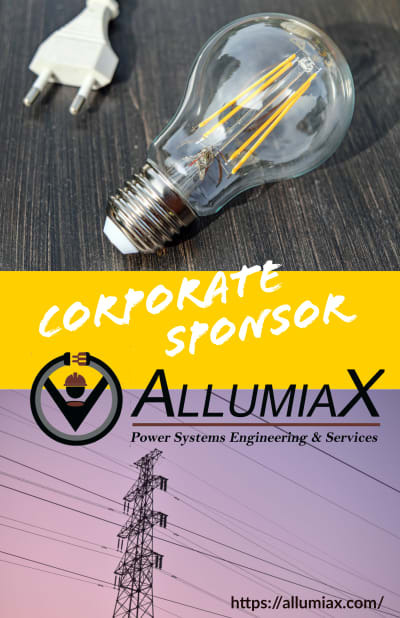 By following this procedure, we can safely protect all types of equipment from electrical “surges”, along with providing the necessary protection for the working personnel against “electric shocks”. If we consider the case of a current transformer, then it is necessary to ground the secondary side, in order to ensure protection of the equipment attached to the secondary terminal. The equipment could be a relay or a measuring device. In order to understand how grounding works, let us consider a single phase CT model. For a single phase CT, we shall ground the neutral wire present on the secondary side. This ensures adequate protection of the secondary side equipment. On the other hand, if we had left the CT “ungrounded”, this would cause the secondary voltage “Vs” to rise to abnormal values. The voltage rise is due to the presence of “stray capacitances”. In basic terms, these capacitances can occur between any two surfaces at a close distance from each other. In the case of a current transformer, a stray capacitance exists between the high voltage and the low voltage winding, another capacitance exists between the high voltage winding and the ground, and a third capacitance will occur between the low voltage winding and the ground. 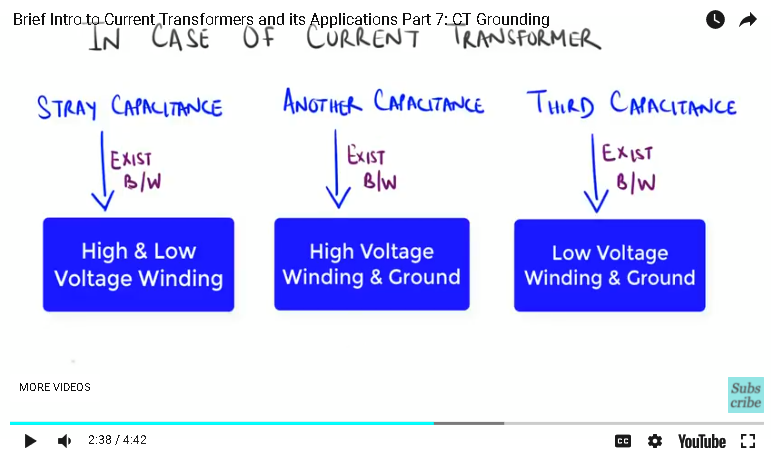 It is for these reasons why grounding a current transformer is highly recommended. A good engineering practice is to ground the current transformer in an accessible location, which will make it easier to remove it for testing purposes. 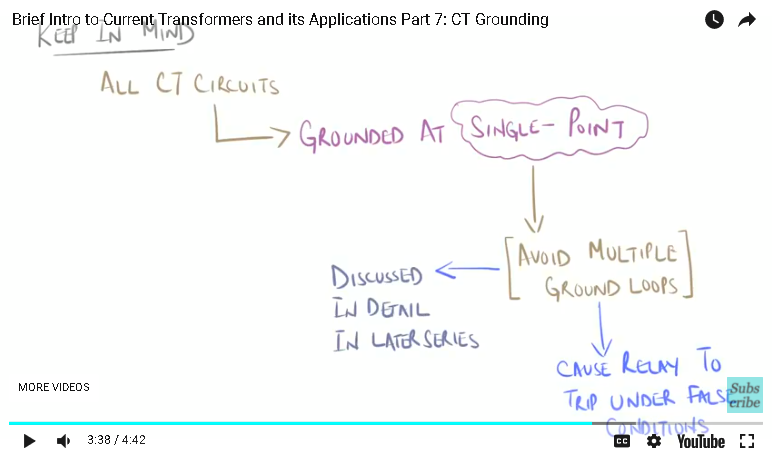 Keep in mind that all current transformer circuits are to be grounded at a single point “only”. This is to avoid the occurrence of multiple ground loops which can cause the relay connected to the secondary winding, to trip under false conditions. We will be discussing this concept in more detail in a later series. 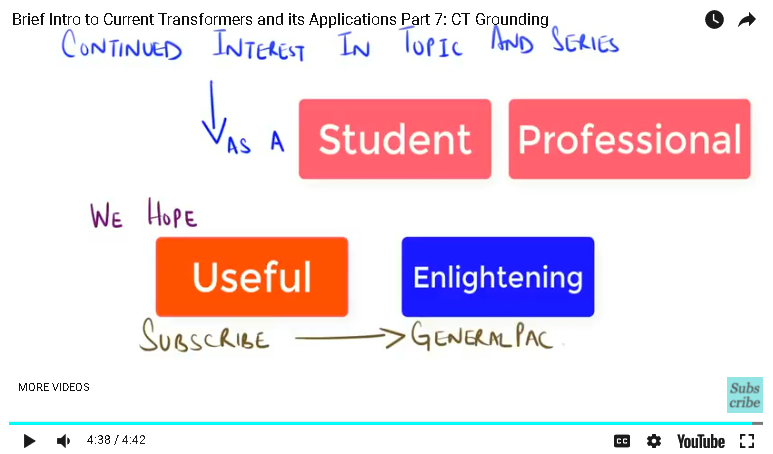 We will now sum up the discussion by drawing a three phase wye-connected current transformer model. Following the same grounding terminology, we ground a three phase CT model by connecting the neutral points of the three windings together, which is followed by connecting them to the grounding grid at a single point “only”. We will now conclude the series of “Current Transformer and its applications”. 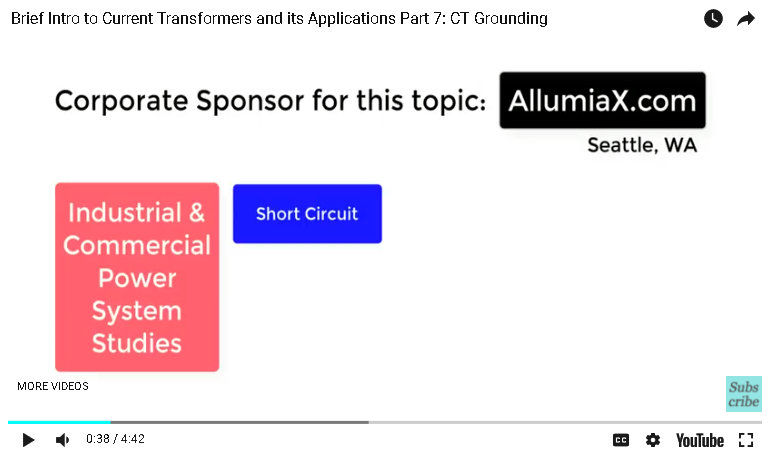 More advanced discussions for current transformer applications, will be covered in different topics.